We know you LOVE bargains! Want to shop them before the public? If you are selling with us as a consignor you are IN! Helping at the sale gets you in even earlier. Details on First-time Parent, Teacher, Grandparent & Military presales are below. Registration is required (see below for registration details). 6:00pm – 9:00 pm : First-time parents, grandparents, teachers & military (ID required). Visit website to see if you qualify for presale. (No children or strollers during presale (except nursing infants under 12 months of age if in sling or carried). *Photo ID required at entrance for First-Time Parents & Grandparents. Teacher & Military ID or Daycare ID required. See details below on each of these presales and to register. Our First Time Parent presale is reserved for those who are pregnant with their first child, have adopted their first child in the past year, or have their first child under twelve months of age. We allow first time parents, grandparents and their guest to shop our presale twice (for example, a spring sale then the following fall sale). 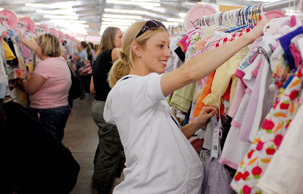 Sorry, if you have shopped two events as a First Time Parent at the Houston South JBF sale, you may not sign up as a First Time Parent again to shop the presale. However, we would love to have you help at the sale and become a JBF BFF (Helper) so you can attend the exclusive presale even earlier! You could also consign or barter to shop early as well. To ensure your name is on our presale list, please register for the appropriate group (first-time parent or grandparent) and bring a photo ID for entrance. We can't wait to see you. Get your FREE ticket to attend. In appreciation for those who educate our kids JBF offers a teacher presale. Teachers always need more books and JBF has them! Shop early and stock up on games, puzzles, toys and books for that classroom. Your "kids" will love you and so will your wallet! Please register as a "teacher" HERE. And grab your FREE TICKET. 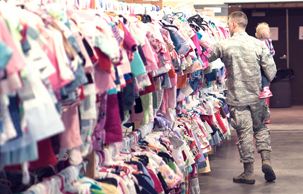 To honor those serving our country we allow military service men and women to shop early. Please REGISTER as "military" so your name will be on our presale list. You will need to show your military ID at the entrance for admission. Get your FREE ticket to attend. SIGN UP HERE to inquire and check vendor availability. You may submit your VENDOR APPLICATION starting March 1st. We will be in touch soon to discuss available vendor options. Registration for vendor booths opens March 1st at 8am. Please fill out the above google link if interested. We are unable to accept early applications. Vendors are selected based on target market of the business as well as timing of application submission. These booths fill extremely fast. We try not to duplicate vendor types to ensure opportunity for success of our vendors. 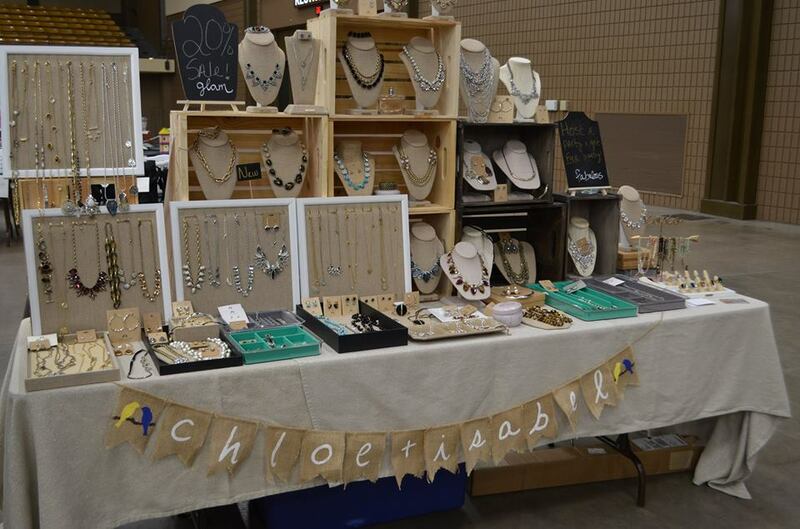 The cost for a Vendor Booth space is $150 if registered by April 1st. After April 1st booth cost is $200. The cost includes face to face access to over 1,500 shoppers, an 8 x 8 space, one table, two chairs, & participation in our smart mom's packs (see details on these below). Just Between Friends of Houston-South loves to offer JBF Smart Mom's Packs to our first 500 shoppers. Your business can join us by providing a stand-out coupon, business card, special offer, or advertisement. For only $50 your business can benefit from the JBF Smart Mom's Packs!! You provide the 500 promo items (coupon, business card, pencil, magnet, postcard, flyer, etc) and we place in the Moms Packs and distribute to the first 500 shoppers (many are first-time parents). Please refrain from ordering promo items until you have been approved as we do not duplicate businesses. For example: may allow two skin care vendors but not two Mary Kay vendors. Deadline for Smart Moms Pack promotional items to be received by JBF is April 15th, 2019 unless other arrangements have been made.